Staying on task seems is a real challenge for our screen-bound generation. The Be Focused lets you get things done by breaking up individual tasks among discrete intervals, separated by short breaks. It’s a surprisingly effective way to retain motivation and focus. 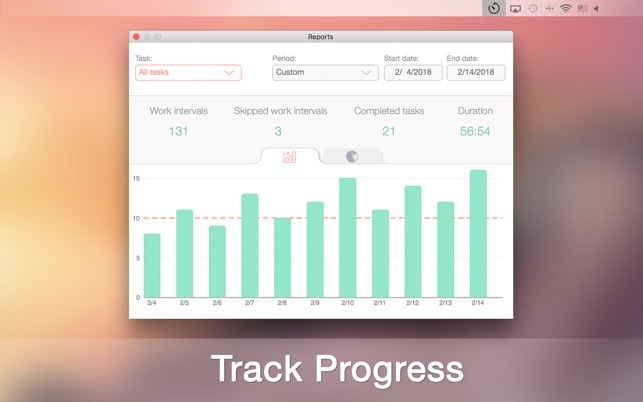 Create tasks, configure breaks and track your progress throughout the day, week or custom period. I don’t use all of the advanced features in this application. These are the things that matter to me: a) Quick and easy access in the toolbar, b) Some sort of ability to log the total number of sessions in a single day, c) the ability to abort or pause sessions/breaks when interrupted and then quickly restart a session at will. You would be surprised to know how many pomodoro applications lack this basic feature. Also, this application hits the goldilocks spot as far as notifications are concerned. Just like the porridge that is neither too hot nor too cold, the notification levels are just right. I have looked at many different pomodoro applications during the past several years, and this is the one I always come back to using. // I only have one recommendation for people using this time management technique: Be sure to stand up and walk around when the timer beeps. Also, drink *tons* of water. Several years ago, I was using the pomodoro technique (not with this application) when working on an intense writing project. I made the mistake of not standing up and walking around, and I didn’t drink nearly enough water. I ended up with a blood clot in my leg and experienced a bilateral pulmonary embolism. (DVT induced pulmonary embolisms kill more people each year than motor vehicle accidents and HIV combined.) This is a powerful productivity technique, but please drink water and walk around. The application is awesome. I only have one quibble with this app being less than great for me: I would like it to take the computer’s focus away from whatever I’m doing to the app so that I have to actually decide and click to keep working. I usually work with music so the alarm sounds are either lost, ignored, or too jarring. There’s another Pomodoro-style app that I had been using that does the focus switch, but it doesn’t have the flexibility this one does, like pausing the work period and being able to log the task. I read through a bunch of negative reviews here, and they are all complaining about things that just are not true. Yes, you can change the length of the work period and the length of breaks, yes, you can turn on a ticking sound and control its volume. The only complaint I found to be actually true was that the default end-of-work alarm was too loud. But seriously, you knew you were setting an alarm from the app description; yet you didn’t check the volume? OK, people do just just jump in and a gentler default would be nice, but it hardly seems something to downrated to a 3 about. The rest of the complaints seem to more of that kind of thinking: it wasn't set to MY preferences out of the box and I didn’t bother to look at the settings before complaining. Seriously? Do you eat at McDonalds too much (where the default is just the way you like it) or what? a great tool for "focus time"
I teach classes on productivity and focus. One of the most imporant parts of a "productive" life is having focused time, with all distractions turned off, to do your core work. For years, I would just use a simple timer to keep track of focus time, and also remind me to take breaks. This worked okay, but many of the timers were clunky. Plus, I had no idea where/how I was spending my time overall, unless I wanted to separately track it. Then, along comes Be Focused. A perfect solution. It combines the timer with a lot more. 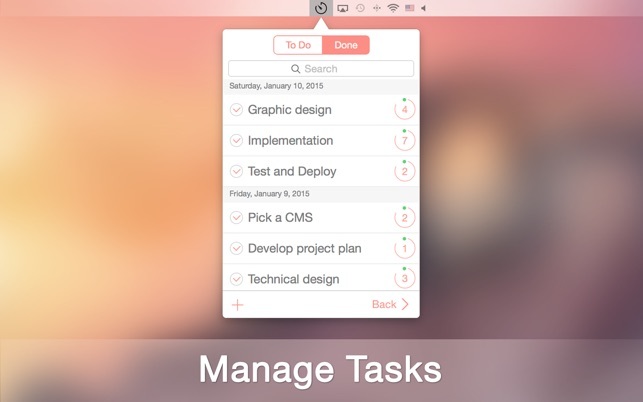 It allows you to keep track of specific activities that you're engaging in, and how much time you're spending there. 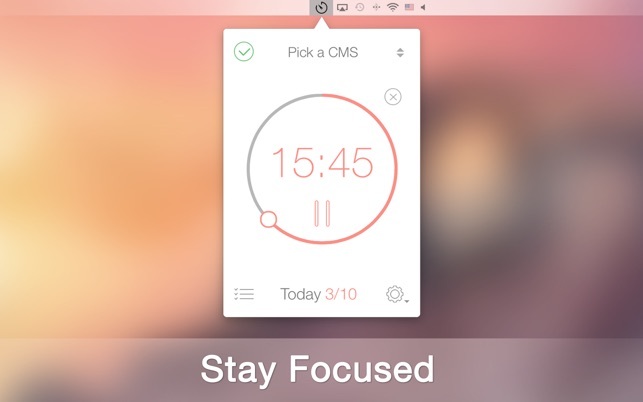 It automatically alternates between focus sessions and break sessions. It allows you specify how much time you want to alternate between focus and breaks, and will automatically remind you to stay on track. 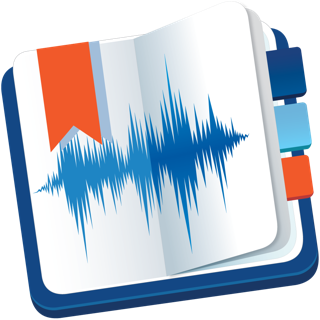 I haven't yet tried the pro version, but just this free version does a lot and is very useful.